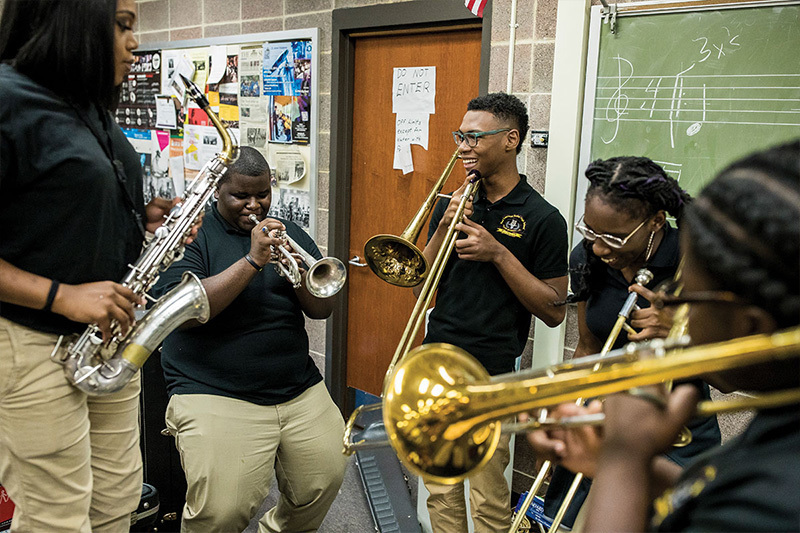 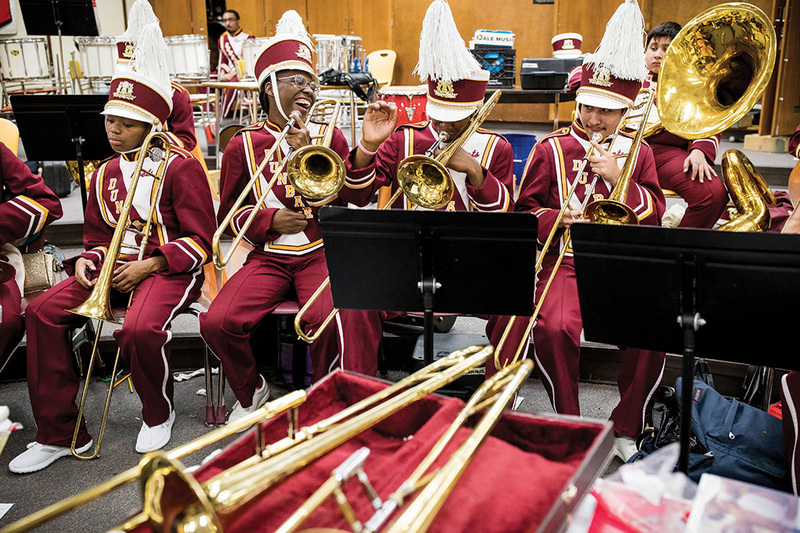 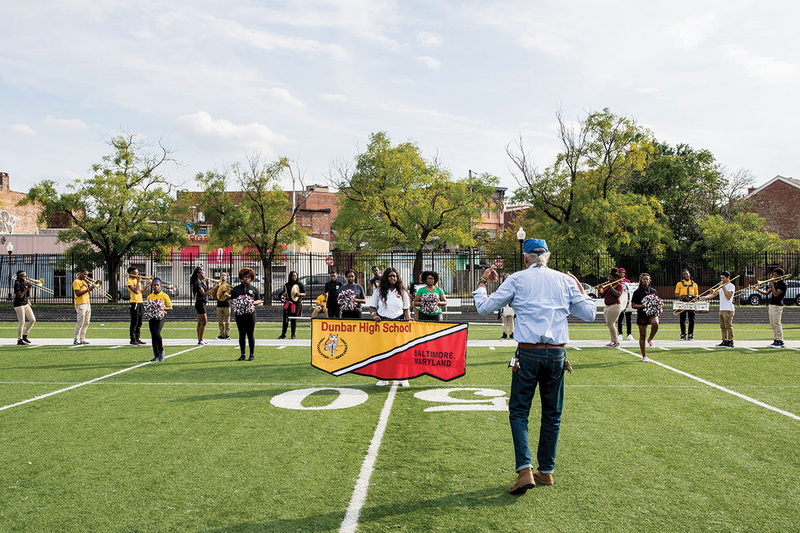 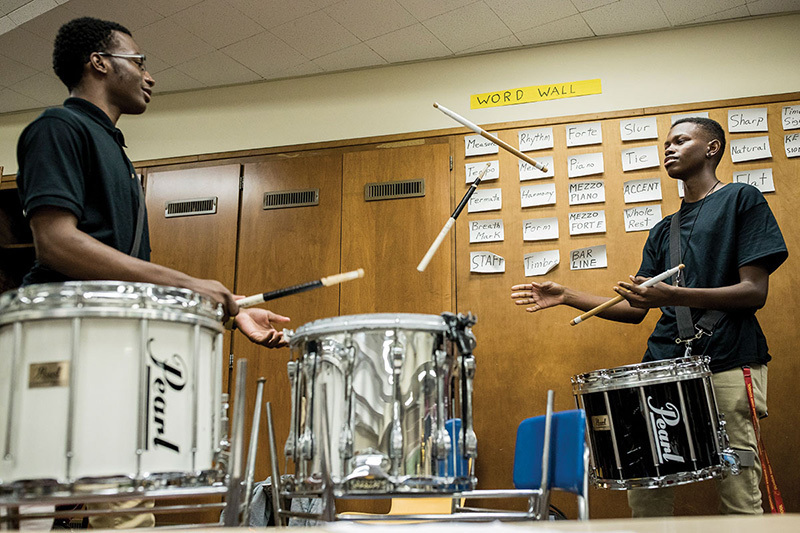 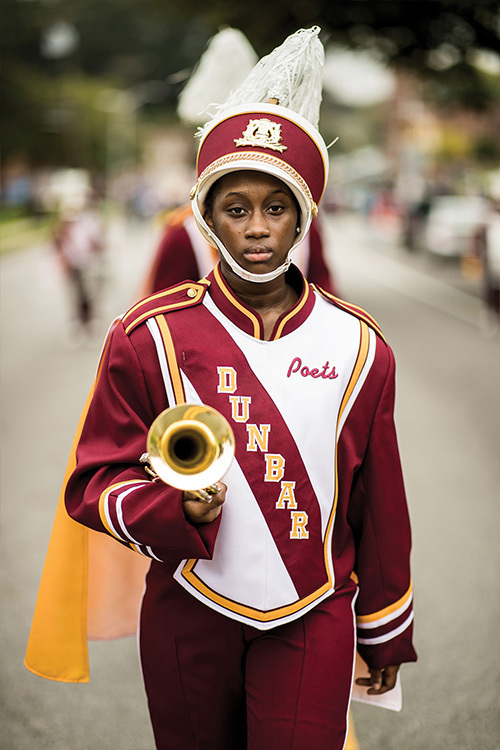 The Dunbar High School marching band fosters a community of musicians. 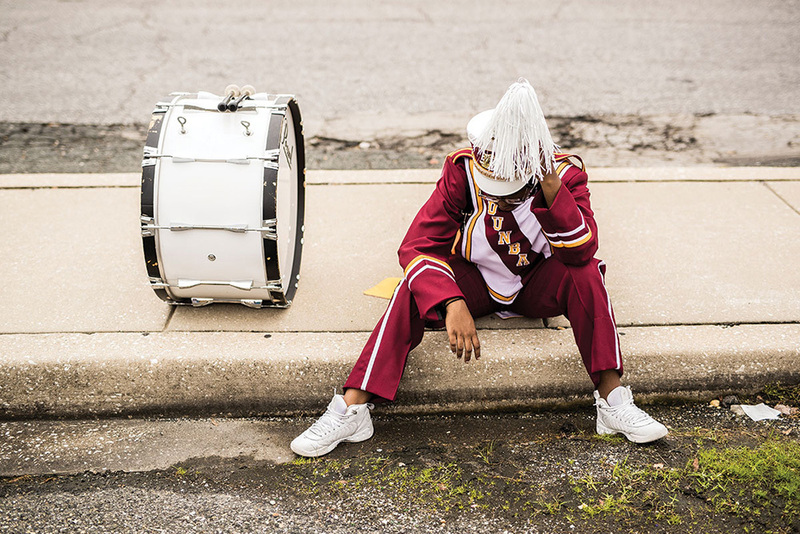 A Photo Essay By Shawn Hubbard. 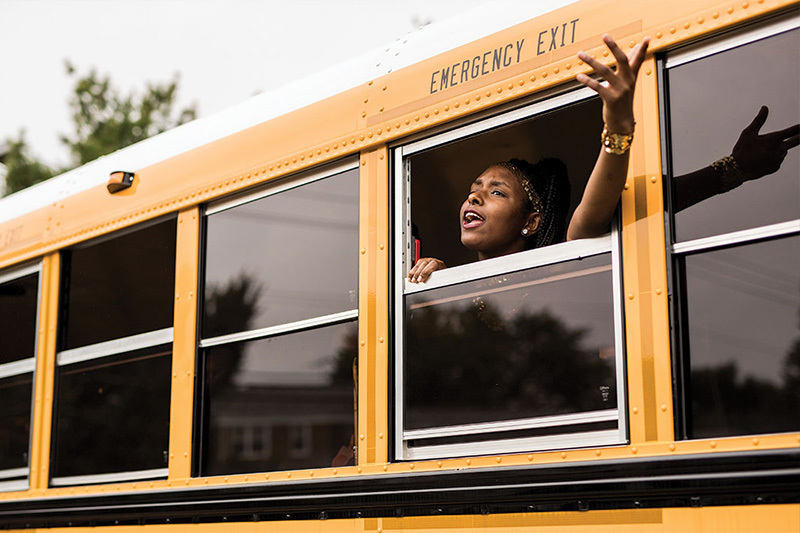 Story by Michelle Evans. 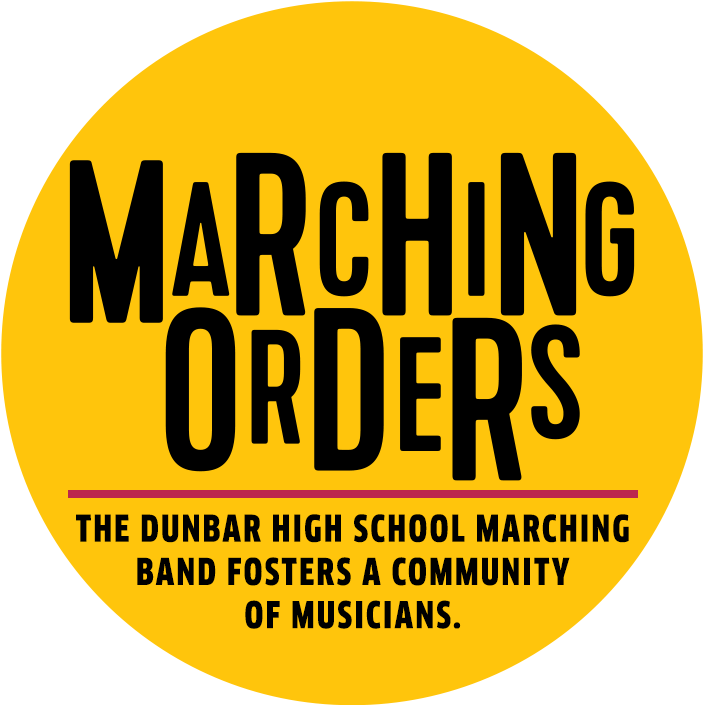 yells Charles Funn, marching band director for Dunbar High School, to a room full of student musicians. 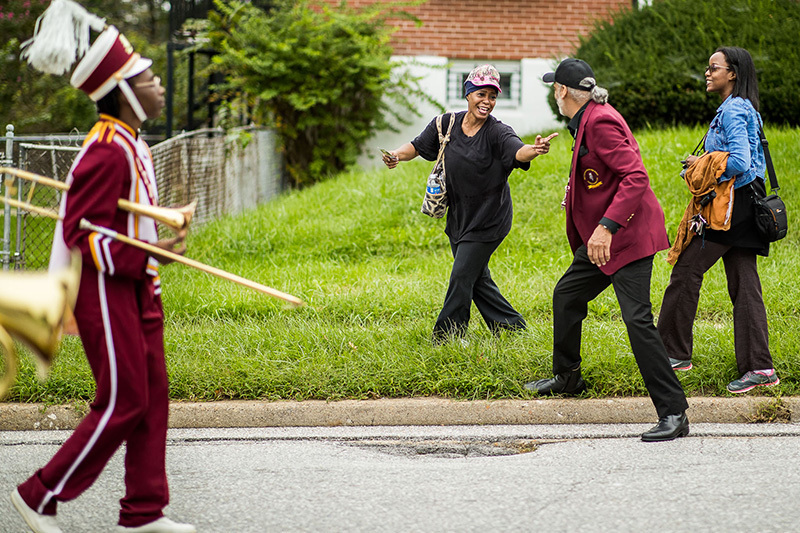 “I’m not going to tell you again. 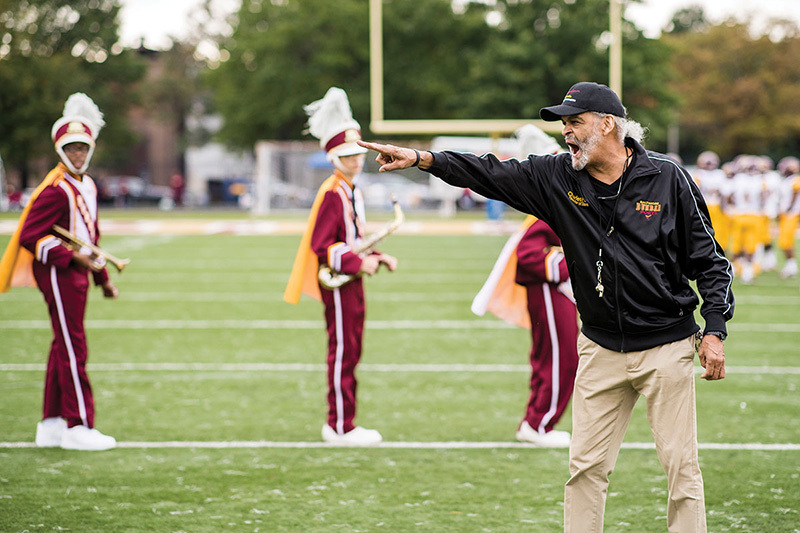 Listen up, because I don’t want to hear you mess up.” The chatter quiets, and all eyes and ears snap to attention as Funn delivers his latest lesson. 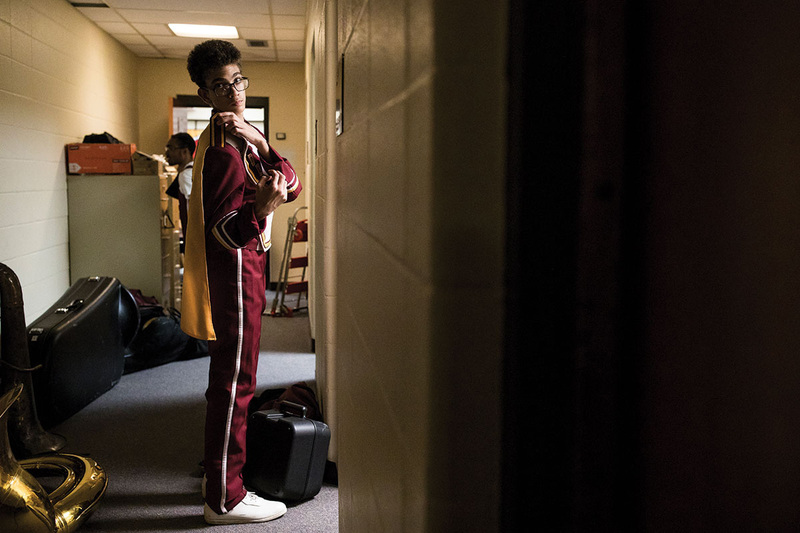 Inside this band room, there are more than 30 students ready to go over new music to perform for the upcoming homecoming game. 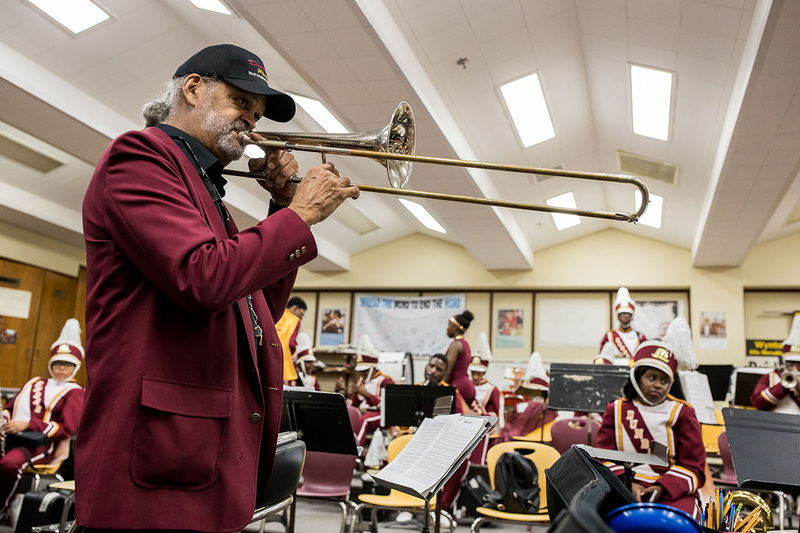 This is nothing new for Funn, who has been teaching music for 45 years—25 of them at Dunbar. 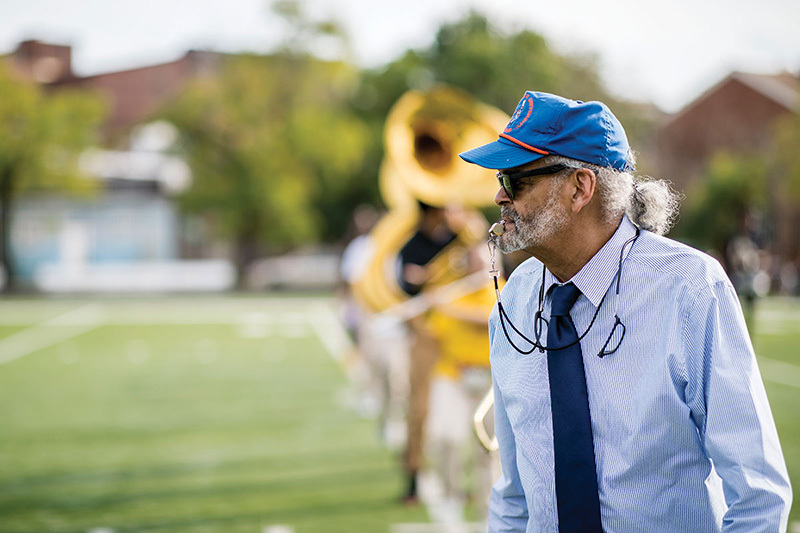 He knows what it takes to be the best, and he has drilled these philosophies into every student who crosses his path. 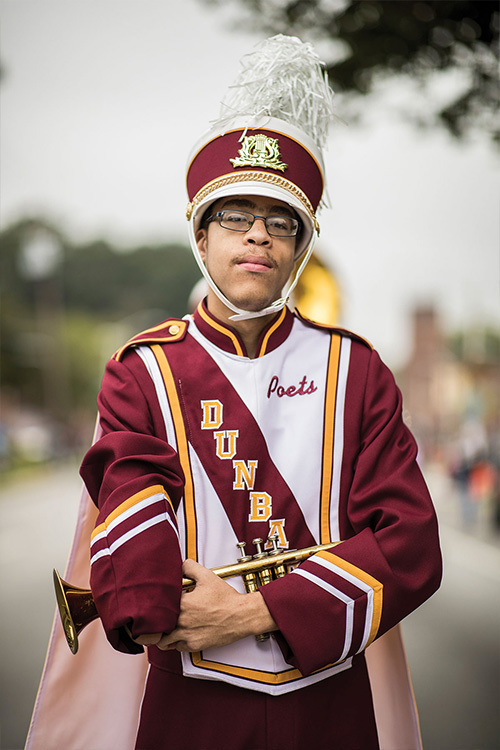 Although his last name suggests an easygoing manner, he’s a drill sergeant when it comes to perfecting his music and prides himself on his students’ abilities to perform at the drop of a hat. 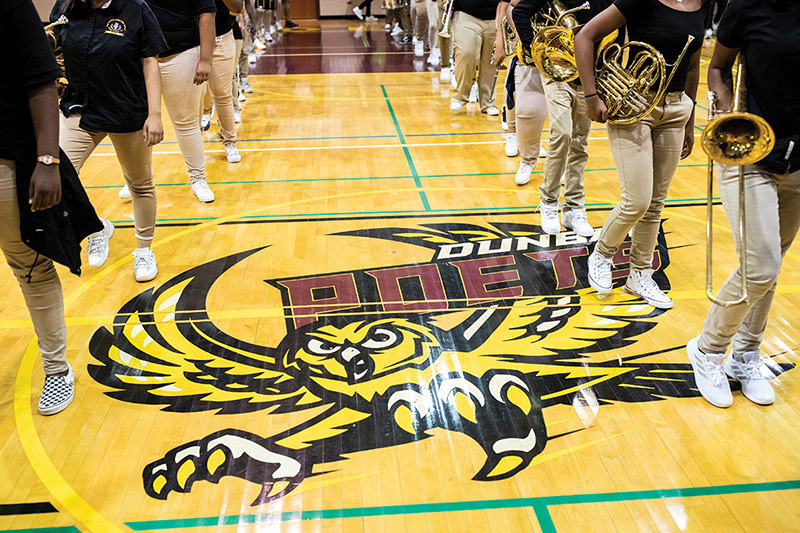 And Funn makes sure of it. 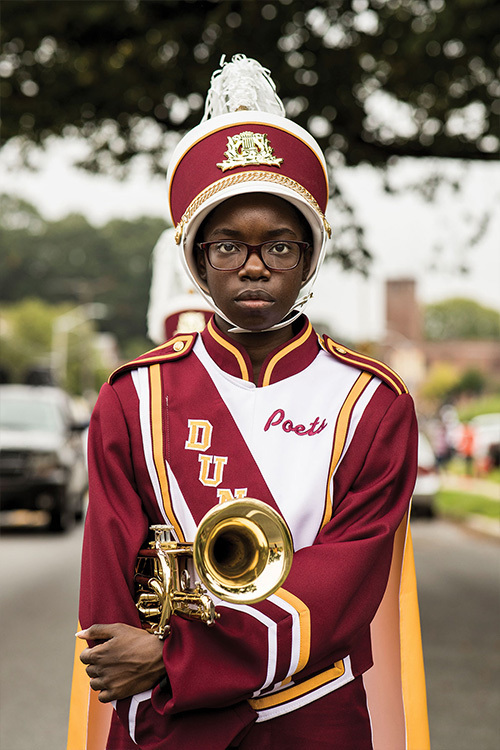 The son of a former high school principal and a cafeteria administrator, Funn began playing the cornet in elementary school in Prince Frederick. 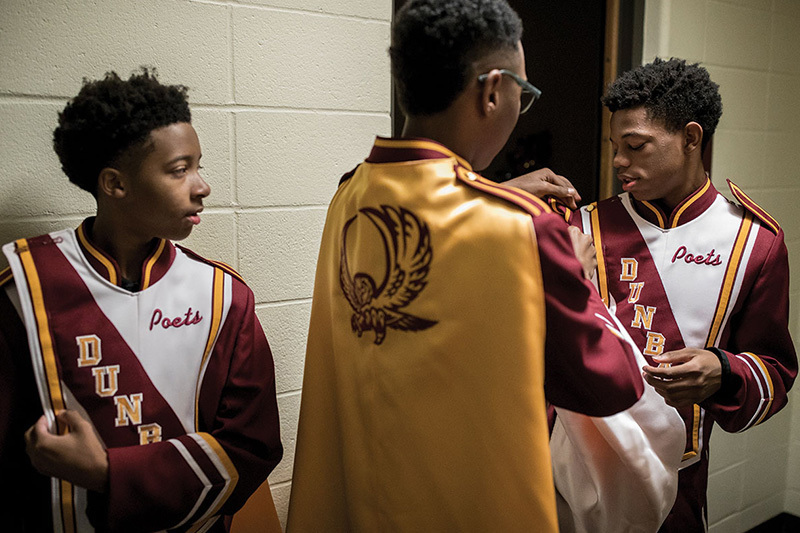 “Growing up in the country, all we had was band and church,” he explains. 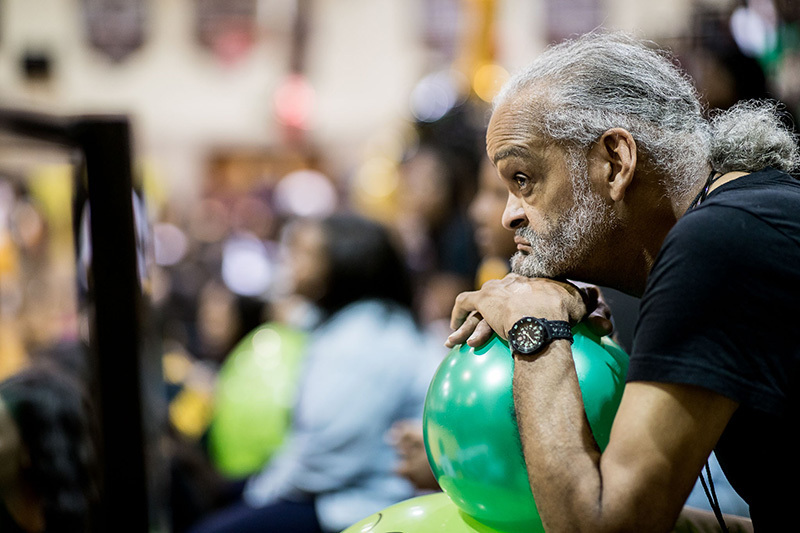 “I really didn’t become serious until high school. 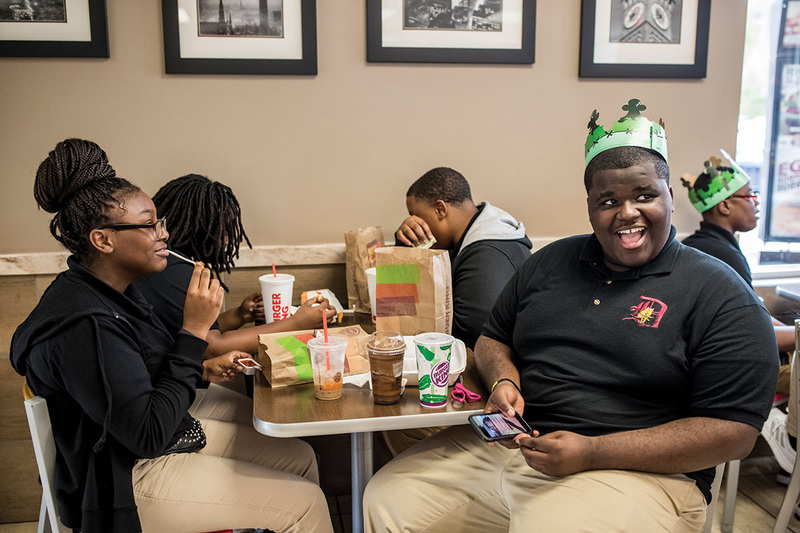 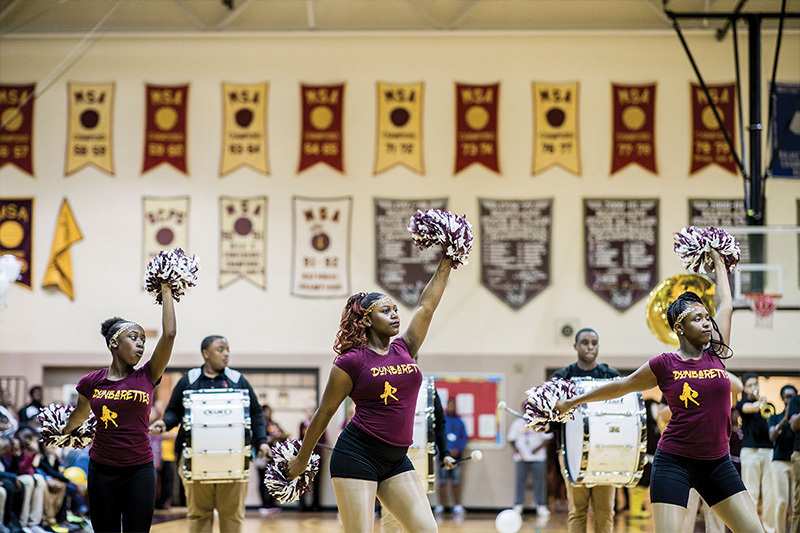 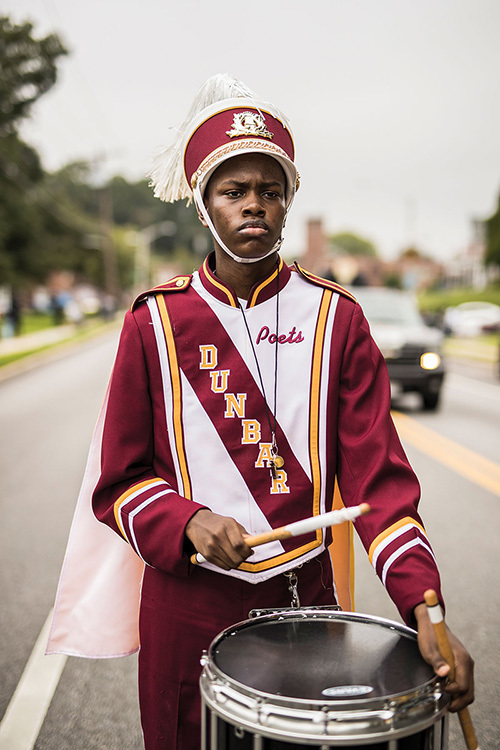 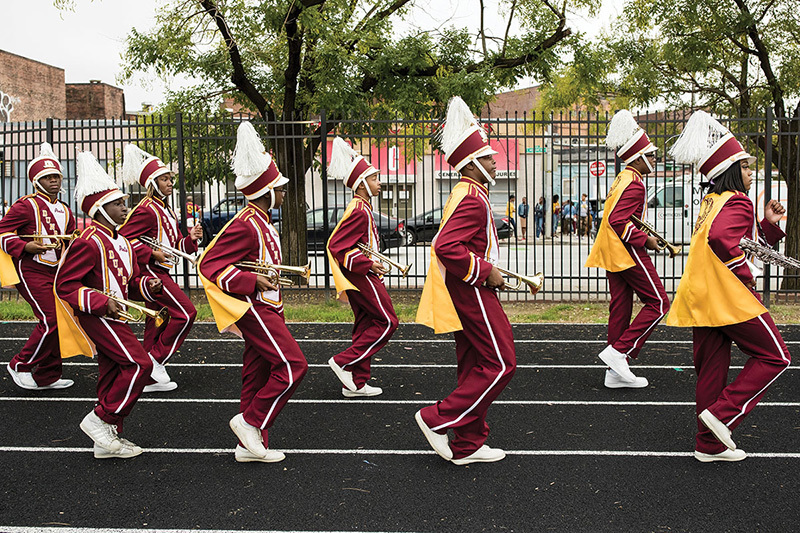 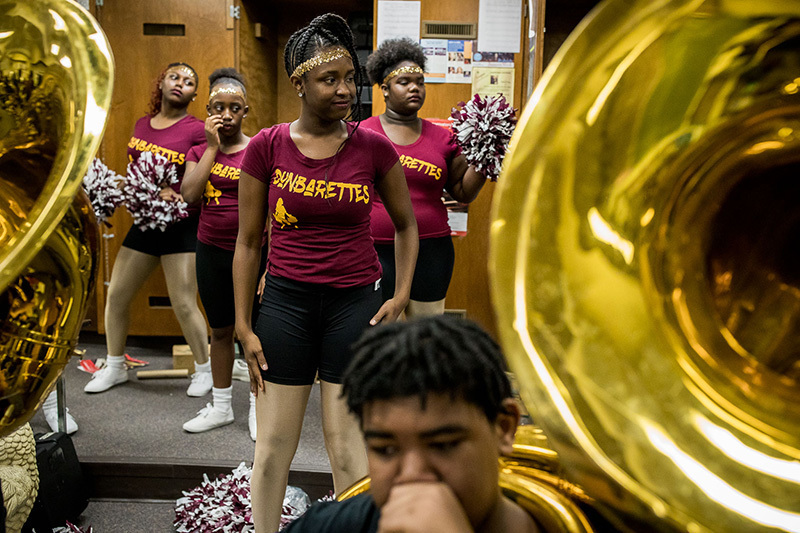 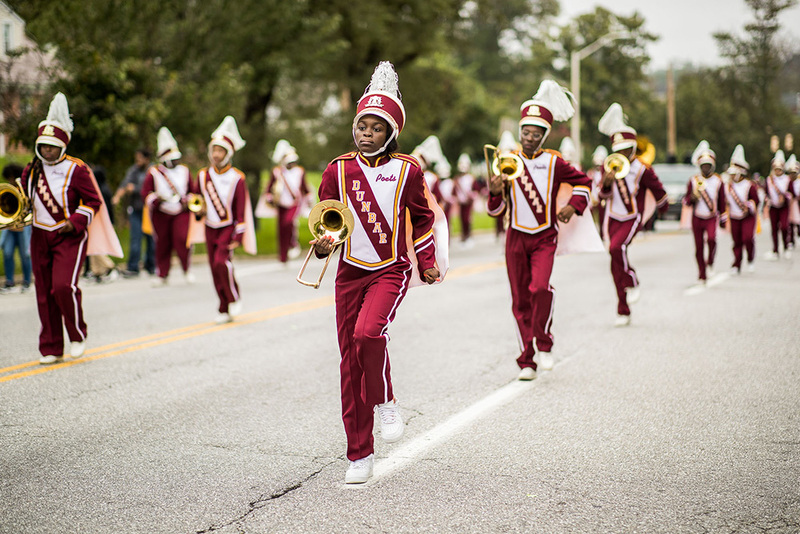 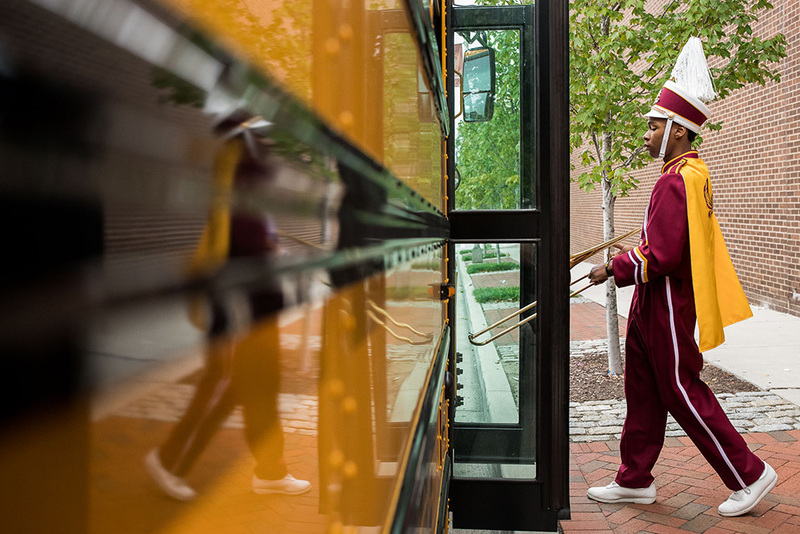 I had to quit basketball due to an injury, so I put my energy into playing the horn.” Since picking up that horn half a century ago, Funn has transformed Dunbar’s maroon and gold, finely pressed uniforms with their matching plumed hats into the most recognized band in Baltimore. 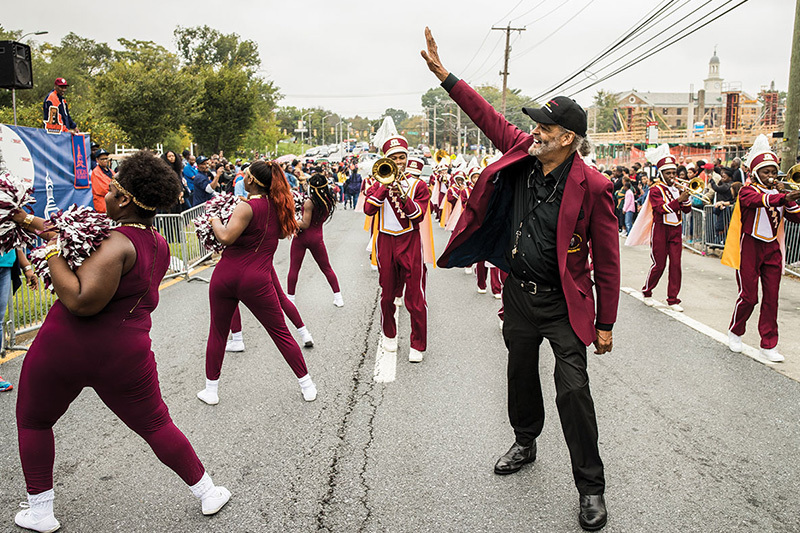 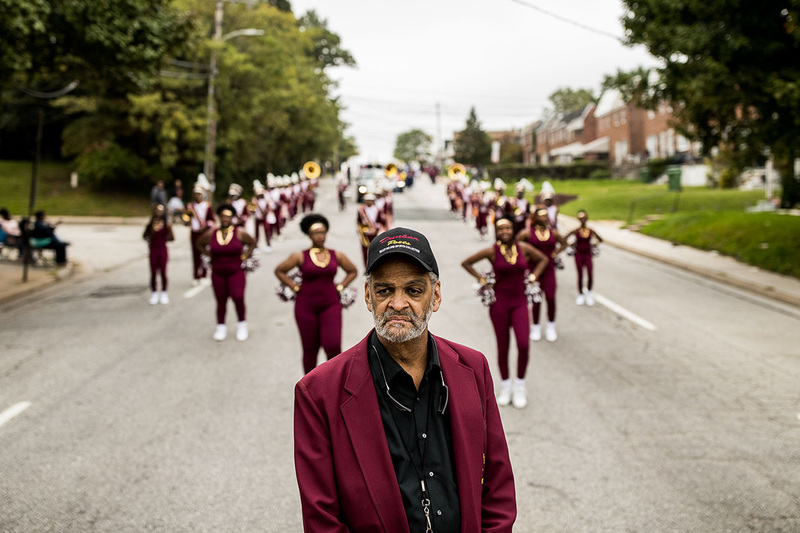 Under his strict, yet paternal, tutelage, the band averages 100 performances each year, including Morgan State University’s homecoming parade and the annual downtown Martin Luther King Jr. Day parade. 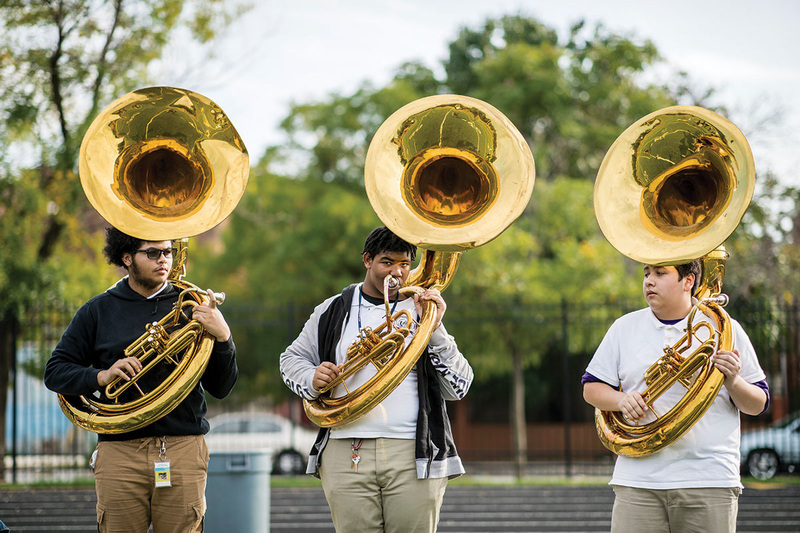 “I don’t say this to brag, but there’s no other band in the city that performs as much as we do,” Funn proclaims. 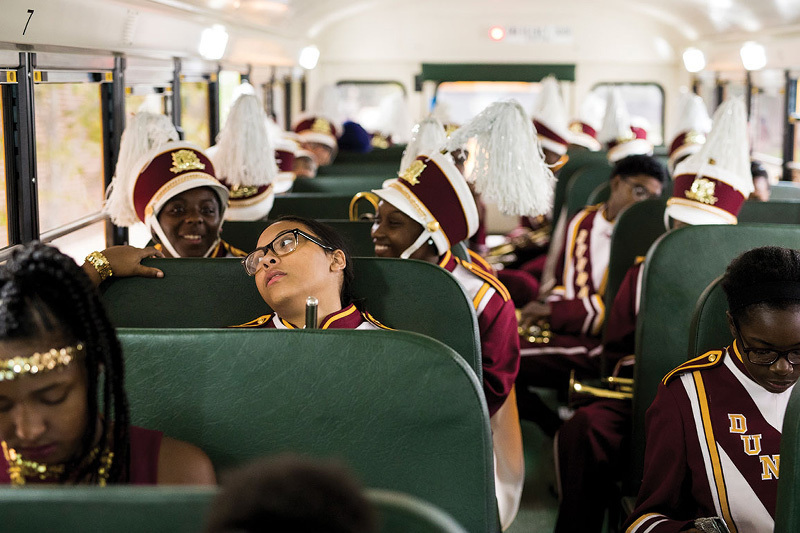 But performing is only half the battle. 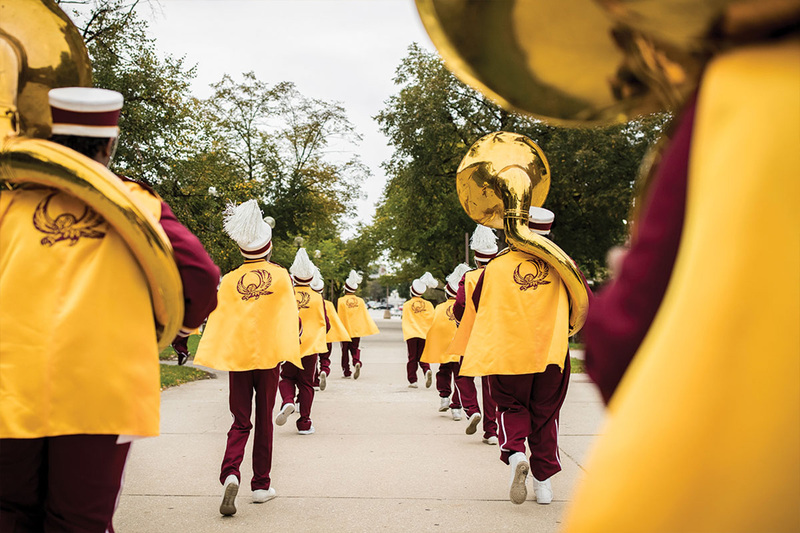 If you’ve seen the marching band perform, you know that all of this hard work pays off. 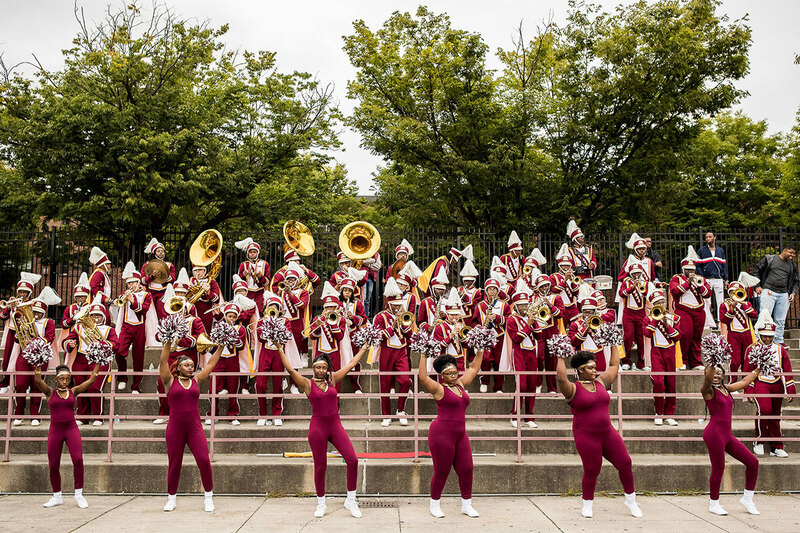 They are a marvel of precision, dancing and high-stepping as one and inspiring crowds with their spirited, irresistible performances. 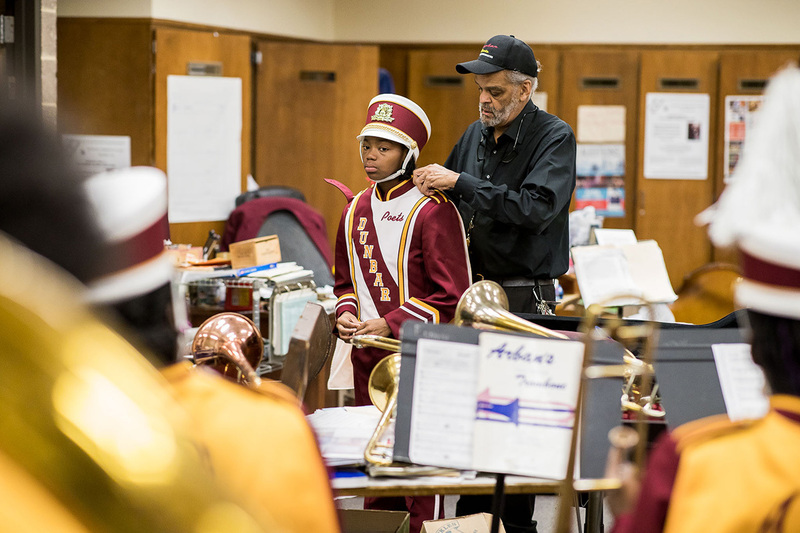 Learning curve: Director Charles Funn and his students in the band room where they rehearse and learn new music. 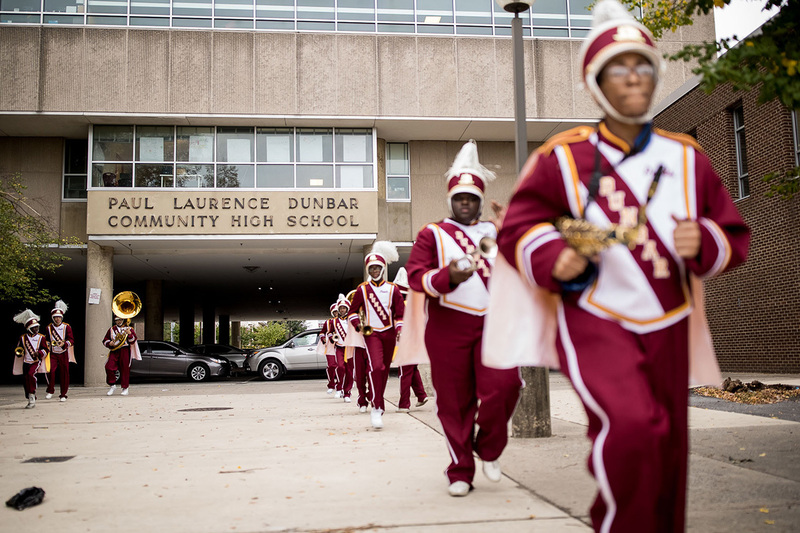 Practice makes perfect: Funn leads practices on Dunbar’s football field with the band and the Dunbarettes to prepare for a homecoming pep rally at Dunbar High School—capped off by a stop at Burger King. 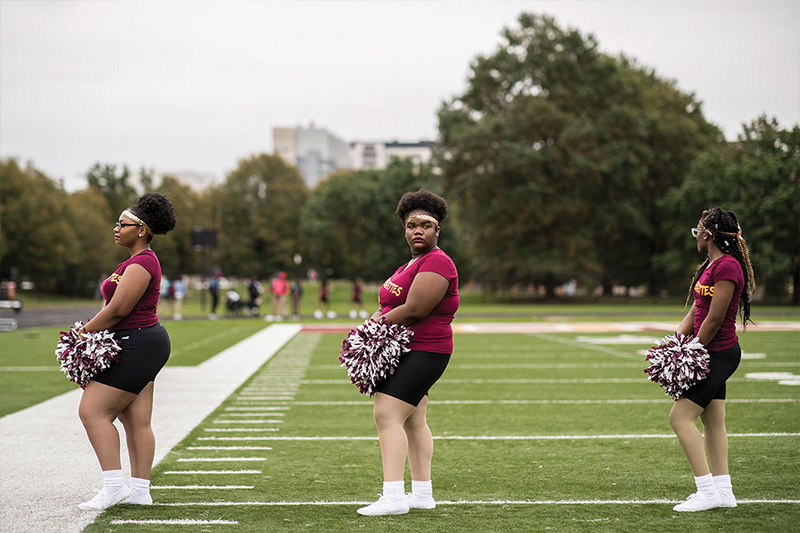 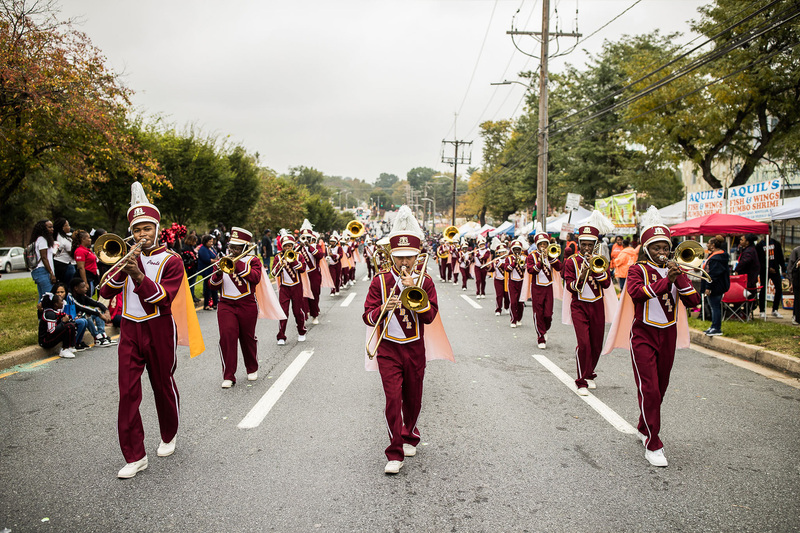 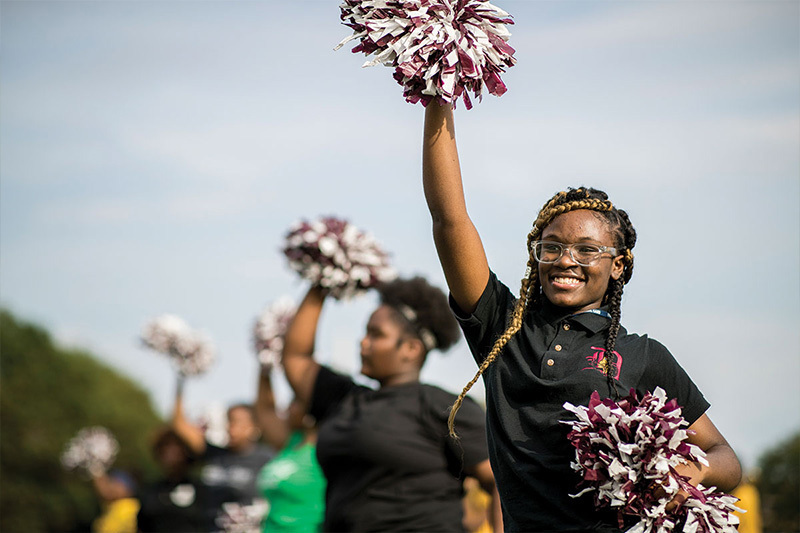 Proof is in the performance: The marching band performs at Dunbar’s homecoming game and Morgan State University's Homecoming Parade as Funn greets spectators.